Ready to speak German? Want to learn in a small group with an engaging teacher in one of our two central Berlin schools? 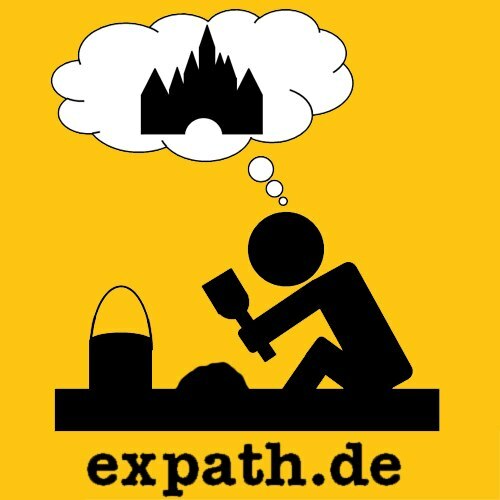 Book your spot today in one of Expath's group German courses and get speaking! Click on your level below, see the schedule, and flexibly book online! Not sure which one? Take our online test! Can't do a whole course in one go? Book your daytime classes more flexibly by the week (find out more) ! Got questions? Check out our FAQ or call us at 030 437 73 678 ! Fantastic experience taking day-time intensive courses over two months. The instructors are excellent, and the staff are always happy/able to answer any questions. This was my best German language school experience in Berlin. This place is fantastic for learning German and actually enjoying it. The teachers are all excellent in their field. Each evening I went there I left feeling that I had massively improved my German. If you're an absolute beginner, you'll need an A1.1 course. If you're not a beginner and not sure about your level, take our free online test. Simply click on your level (and ideal frequency) above, select the course you want to join and click on the course title to get information about schedule, books, etc. After filling out your contact info, you'll be asked to pay securely online. If you wish not to pay online, please visit us in one of our schools and register in person. Once payment is received, you're all set! Step 4 : Start Learning! Now all you have to do is come to your first class. All you need to bring is a pen and something to write on. We're looking forward to seeing you there! At Expath, we have a variety of options to fit your schedule. Each of the following completes one course level (e.g. A1.2). For beginners (A1.1), the course durations are shorter - and there's also a very intensive weekend option (8 lesson units over 4 days)! Expath has two central language schools in Berlin. Both locations feature free coffee, tea and WIFI for all students. 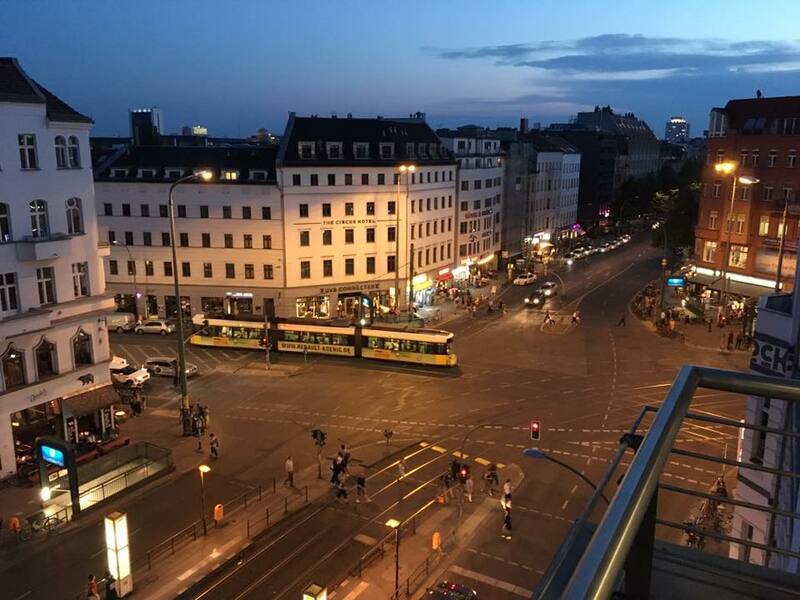 Since May 2017, we've taken over a former doctor's office to serve students in Mitte, Prenzlauer Berg and northern Berlin. This school is located on the 5th floor (don't worry - there's an elevator), right on Rosenthaler Platz, and features two bathrooms, multiple balconies and a great view over the square. Expath has been giving German lessons in our cozy Altbau-school in the "Reuterkietz" of Berlin's lively Neukölln district since 2014. Students take advantage of the shops, restaurants, cocktail bars and cafes of Weserstr./Pannierstr. and Sonnenallee, all within two minutes of our school. Our prices for level are best expressed by "lesson unit". A lesson unit in Germany represents 45 minutes of in-class time. Evening and weekend courses are 5.5EUR, morning courses are 5EUR and afternoon courses are 4.5EUR. So, for a 48-unit course, the price is 216 EUR in the afternoons, for example, but 264EUR in the evenings. Courses for beginners (A1.1) are shorter, so because there are fewer units, the price per course is lower (i.e. 32 units instead of 48). If you book our daytime classes by the week, the price per week is 72EUR for afternoons, and 80EUR for mornings. 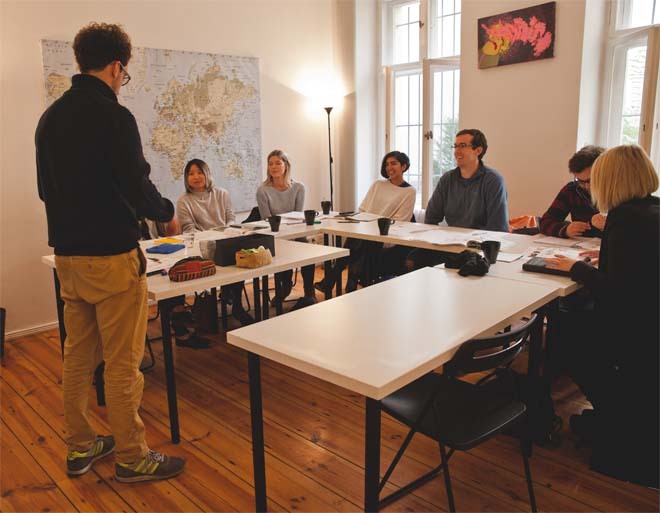 At Expath, we take great pride in selecting and training the best teachers and offering our students a comfortable setting in which to learn German. If for any reason you are not satisfied with your course, and you don't wish to change to a different time or location, we will give you a 100% refund if you request it within 72 hours of your first lesson (24 hours in case of daytime intensive classes). We're looking forward to seeing you in class! 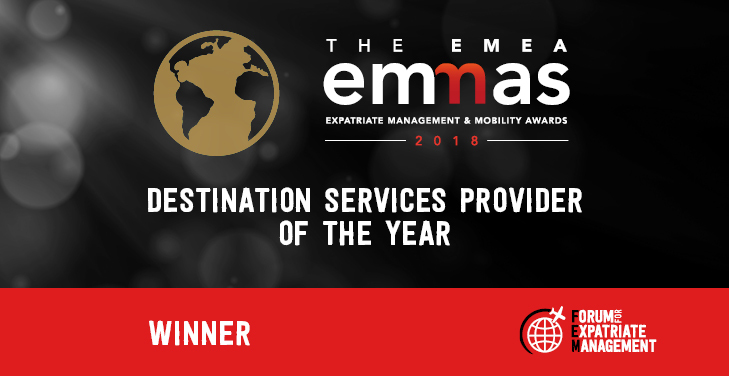 All the best from your Expath team.